Lakefront Residences is a new condo next to Lakeside MRT station. Lakefront Residences is located close to schools such as Rulang Primary, Shuqun Primary, Lakeside Primary, River Valley High, Hua Yi Secondary, Yuan Ching Secondary, Jurong Junior College, Canadian International School, Pat’s School House and Confucius Mandarin Institute. There are many shopping centres in the neighbourhood as well. Jurong Point is just 1 MRT station away, and JEM, Gateway, and JCube are just 2 MRT stations away. This is also a great location for those working at the nearby International Business Park (IBP) or Jurong Industrial Estate. In fact, the government has plans to turn Jurong Lakeside into the largest commercial hub outside of the CBD. This presents an increased potential tenant pool and opportunity for capital appreciation. 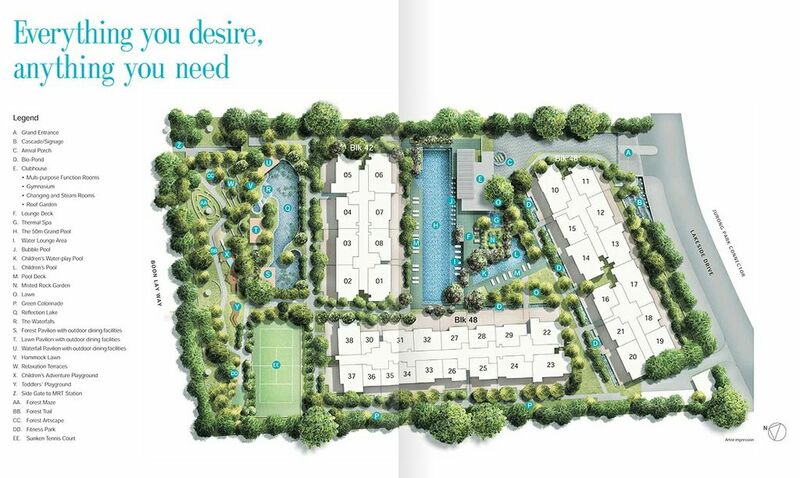 Developed by Keppel Land, Lakefront Residences sits on a 99 year leasehold site. Facilities include a pool, clubhouse, multi-purpose room, function rooms, gym, steam rooms, playground, and tennis court. Lakefront Residences has obtained TOP.